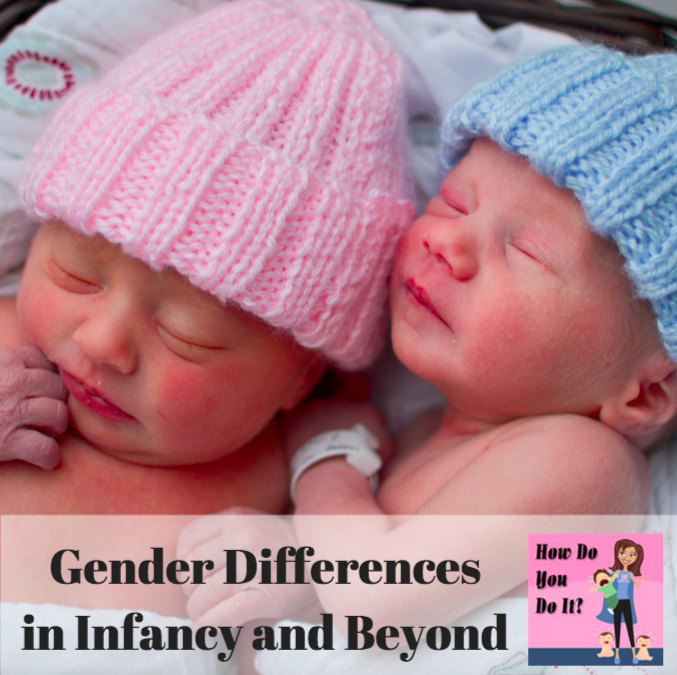 Twinfant Tuesday: Gender Differences in Infancy | How Do You Do It? Love the comment about the constant psychology experiment.. so true! You may know I’m passionate about gender stereotyping. It’s so interesting to read your experience having one of each gender. I have been very purposeful about having a variety of toys at our house, most of which are gender-neutral toys. I kind of snicker when I see the girls at friends’ houses. 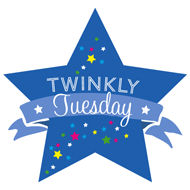 Particularly before they started school, they had no clue what a tiara was. HA! My b/g twins were the complete opposite of yours. My son, who was the older by 33 minutes was easy to soothe and pacify, whereas his sister had the blood curdling cry that demanded immediate action! My son was all go, go, go. I used to comment that he was more work then his three sisters combined due to his endless energy! My daughter, she loved books! To the point that in jk the teacher commented that she spent too much time looking at books and not interacting with other children. They will soon be 17, and my son is still laid back, happy go lucky, take life as it comes. My daughter, she is always immersed in drama, either of her own creation or in the middle of someone else’s, she rebels against everything and everyone. I think birth order and household happenings would play a role in this development as well though. When I brought my guys home from the hospital, I also had a 2 and 3 year old at home. The twins would of known of their existence, having heard their voices inutero. 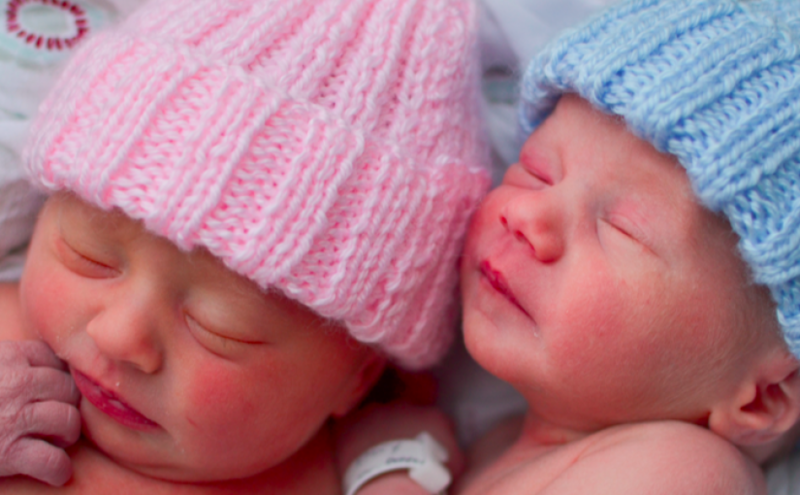 Each child is special and unique, be it one, two, three or more being born.